The Spring 2010 Autumn Gem Tour featured 13 screenings in 18 days. Our final stop before returning to the Bay Area was at State University of New York at Stony Brook on Long Island. Saying goodbye to my relatives in New Jersey, we took an early morning train to New York’s Penn Station. We didn’t head immediately to Long Island, as I had to make a quick jaunt over to the All Things Digital “East Coast Office” in Midtown. The differences between the two cities of Boston and New York were readily apparent as we walked between the towering skyscrapers. Boston had more of an old-time colonial and working class feel to it, whereas New York had a more hustle and bustle, white-collar feel. I can understand how intense a rivalry can develop between these two cities (esp. in sports); the variations here are more apparent than those between Northern California and Southern California cities. The last time that I took the LIRR was during Vienna Teng’s East Coast tour way back in 2003. My, how time flies! Vienna recently announced that she’s embarking on a new chapter in her life by getting her MBA at the University of Michigan in Ann Arbor. Another thing that we’re blessed to have are friends who are off blazing their own trail in their professions and interests. If there’s just one student that we’ve inspired to make their own films or work on their own projects, our trip will have been a success. Of course, we would like to have inspired more than just one, but you get the point! We hope to have a screening one day at UMich so we can go and visit her — instead of the other way around! Thanks to my friend Randy’s guidance, we rented a car from the Enterprise store not too far from his parents’ house, where we would be staying that night. From there, we drove 45 minutes to Stony Brook University. The first thing that we both noticed was that Long Island really is long! Next, the scenery seemed to gradually change from suburbia to farmland! Third, you have to go on so many different highways, parkways, turnpikes and roads to get from Bellmore to Stony Brook. Thank goodness that we had a GPS to guide us there! The screening was held at the Charles B. Wang Center on campus. For those unfamiliar with their tech history, Charles Wang is the founder of Computer Associates, the well-known computer software corporation. He lives in Stony Brook and donated a generous sum of of over $40 million to fund the construction of the building, which is “dedicated to presenting the public with a multifaceted, intellectually sound, and humane understanding of Asian and Asian American cultures, and their relationship to other cultures.” And what a lovely building this was! I really liked the high ceilings, the floor-to-ceiling windows that let in so much light and the multiple levels that made the building seem endless. The theater was equally stunning, easily the most beautiful venue on this tour. We had about 150 in attendance, comprised primarily of three classes of students. Unfortunately, many of them had to leave right before the end of the film, as they had another class to catch (there’s only 10 minutes between sessions). Next time, we’ll be more aware of this and shorten our introductory presentation accordingly. 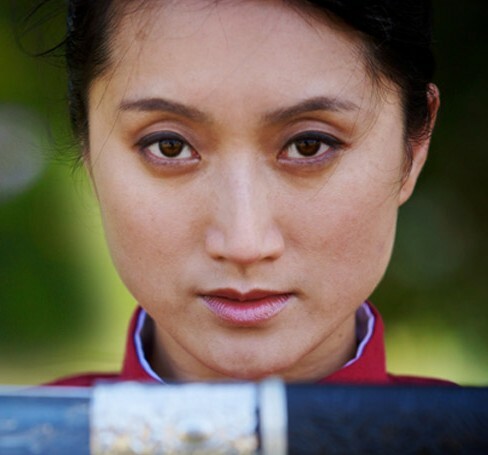 One comment from the audience was regarding the choice of an elite female athlete to portray Qiu Jin. In a way, Li Jing embodies the legacy of Qiu Jin’s efforts to emancipate women physically, to transform the frail, bound-footed women of the past into strong, healthy, capable bodies. 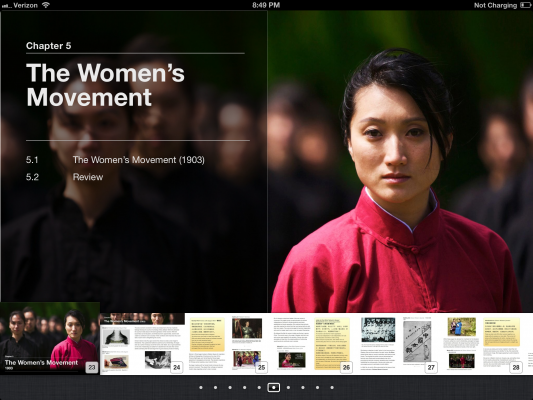 For the women of Qiu Jin’s time, the very act of engaging in exercise was revolutionary. We hoped to capture this spirit through the beauty of women performing wushu. The screening was organized primarily by Professor Sunita Mukhi and Iona Man-Cheong. Big thanks to them and their assistants for bringing us a large audience to conclude our tour. We also met Gary Mar, professor from the Philosophy Department, who was instrumental in bringing the donation of the Wang Center to Stony Brook. Professor Mar has also produced documentary films himself, and was able to direct us to some excellent resources to help us expand the reach of our film. We had dinner at the Jasmine Restaurant in the Wang Center. With selections ranging from Indian to Chinese to Thai to Japanese, I chose Indian for my dinner. We hit many of the world’s cuisines on this tour: Afghan, Indian, Chinese, Japanese, American, Italian, Vietnamese, New England Seafood and more. And so ends our first big tour of 2010! We will be having a couple of screenings in the San Francisco Bay Area over the next several weeks. We will also be planning another Fall tour, too. We would like to go back to the East Coast, but we’d also like to visit the Pacific-Northwest and Texas (yes, Texas is like it’s own geographical locale!). If you and your organization are interested in having a screening of Autumn Gem, please contact us! Finally, I wrote these last several blog entries while on the plane heading back to the Bay Area. And, I used my iPad instead of my laptop! Signing off for now! 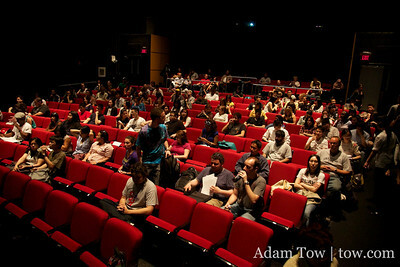 Here are photos from our Stony Brook University screening.